Who’s behind the next release? Read more and see! Berlin based co-founder of Visionquest Shaun Reeves has gradually carved out his unique take of raw, minimalistic house music over the years via releases on Dorian Paic’s Raum…musik, One Records, his new Shantu label alongside Tuccillo and of course his own Visionquest. Here we see him pairing up with Canadian duo Maher Daniel and Amir Javasoul who together as Creatures Of Habit have been picking up attention from the likes of Ricardo Villalobos, Zip, Raresh and Apollonia amongst others. 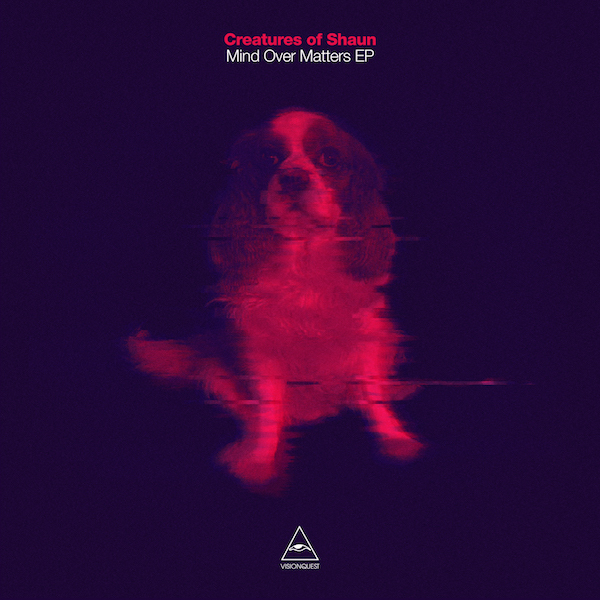 Here marking the debut of their collaborative ‘Creatures Of Shaun’ guise the duo offer up their ‘Mind Over Matters’ EP, the title-track leads and lays down mind bending, modulating percussion and synth swirls alongside bumpy bass grooves and hypnotic atmospherics whilst stirring in a tripped-out spoken word vocal sample to further fuel the psychedelic house feel. ‘Blink’ follows and tips the focus over to resonant subs, stripped-back organic percussion and murky vocal swells, again resulting in something mesmerizing and groove-led before ‘Out Of Orbit’ reduces things even further to refined shuffled hats, minute rhythmic modulations and snaking bass flutters.